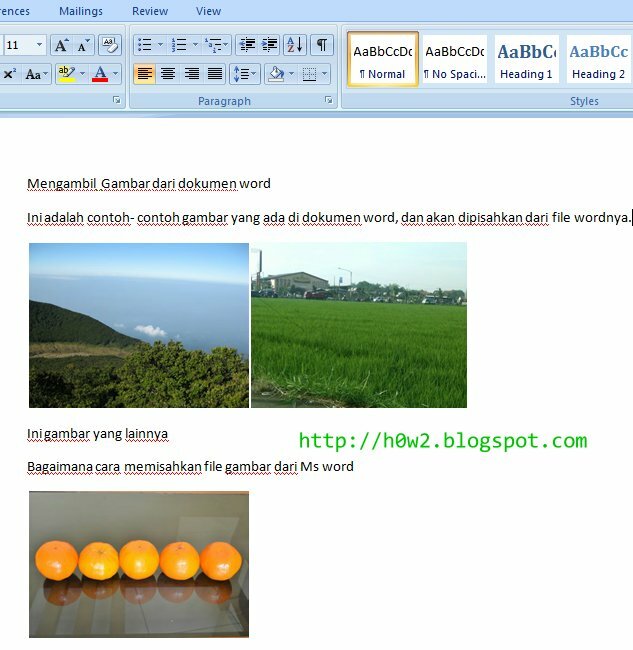 To take a picture from a Microsoft Word file, the most common way is to select an image, copy and then paste in Ms. Paint or to the Picture editor then Save-as become a new image file. If the picture is only one or two is not a problem, but if there are a lot of pictures, we'll be bothered having to copy and paste one by one. 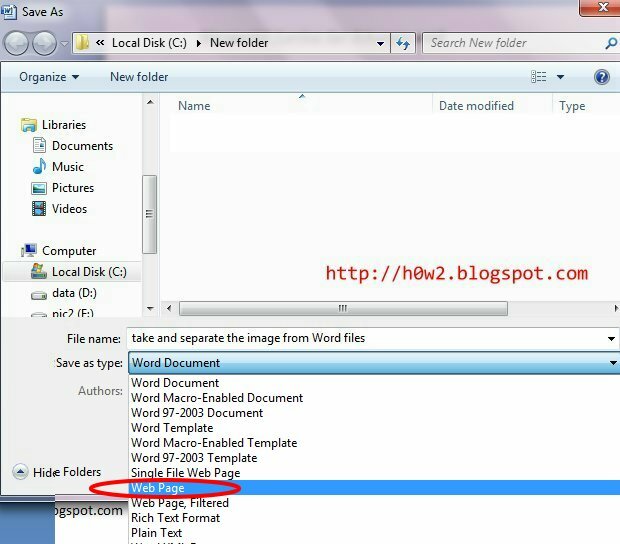 Tricks of the easiest to extract pictures from the Microsoft Word file is to go to Save-As menu. Then Save-As the word file to become the web page format. Image files will be directly stored in a folder automatically. 5. 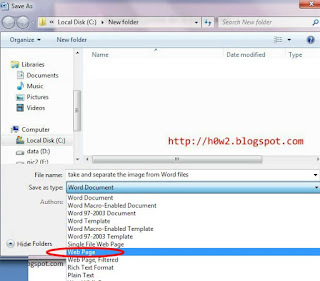 Open the folder in a location where we store the file, there will be a sub folder containing html files and image files.